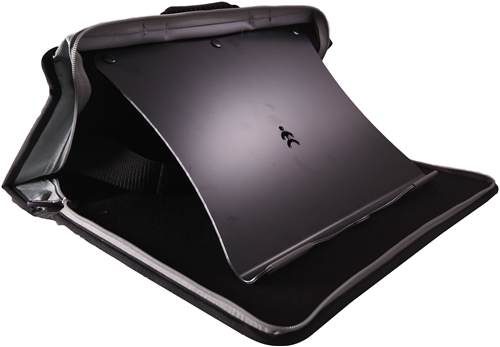 The Smart Sleeve protective laptop case opens instantly into a multi-angle ergonomic laptop stand. Zipper closure secures your laptop computer, portable keyboard, and mouse in a compact and lightweight case. Provides heat insulation and padding when when used on your lap. A convenient way to store, transport and use your laptop. Built-in carry handle. Check-point friendly. 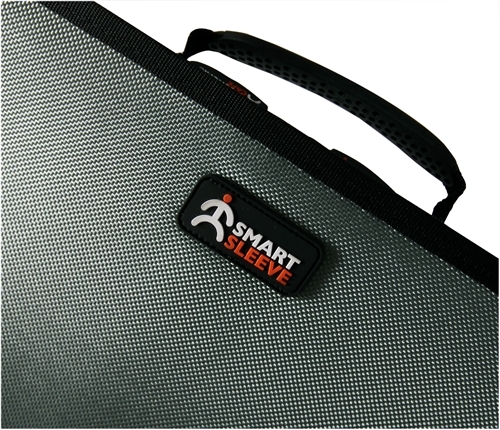 "The Smart Sleeve provides the best protection and ergonomic support on the market. Products from Ergonomic Cafe will provide years of use and in most cases exceed the life of the equipment they are designed to support. "- Ian Web, Disability assessment advisor. Variable angle settings from 20° to 43° degrees. (Laptop cover must open at least 115°). 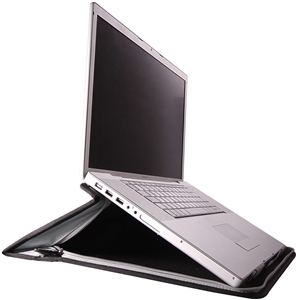 Sturdy metal laptop platform includes optional Velcro C-Cure attachments to secure your laptop to the stand for "always on" convenience. 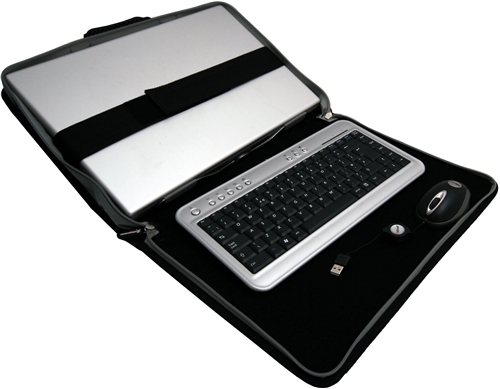 Zippered closure allows full access to laptop ports and drives. Water-resistant padded Ballistic nylon protects from scratches and damage during transit. Checkpoint friendly. 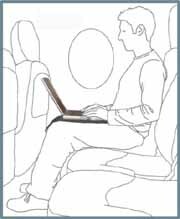 No need to remove the laptop from the Smart Shell for airport inspection. Download the SmartSleeve brochure (947K). Watch a video about the SmartSleeve. 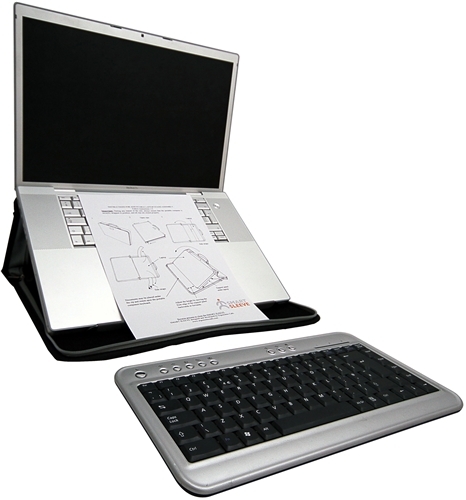 Smart Sleeve transforms in seconds into an adjustable ergonomic laptop stand. Smart Sleeve keeps your lap cool and comfortable during computer work. 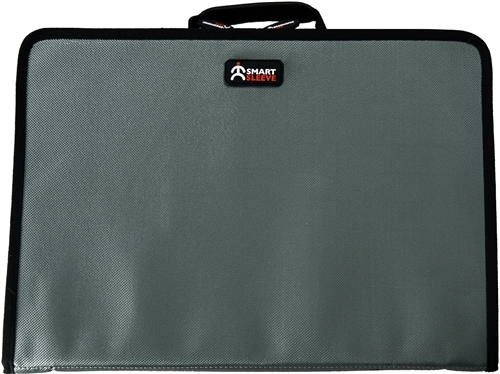 Smart Sleeve is "always on" to protect your laptop computer from scratches and damage during transit.